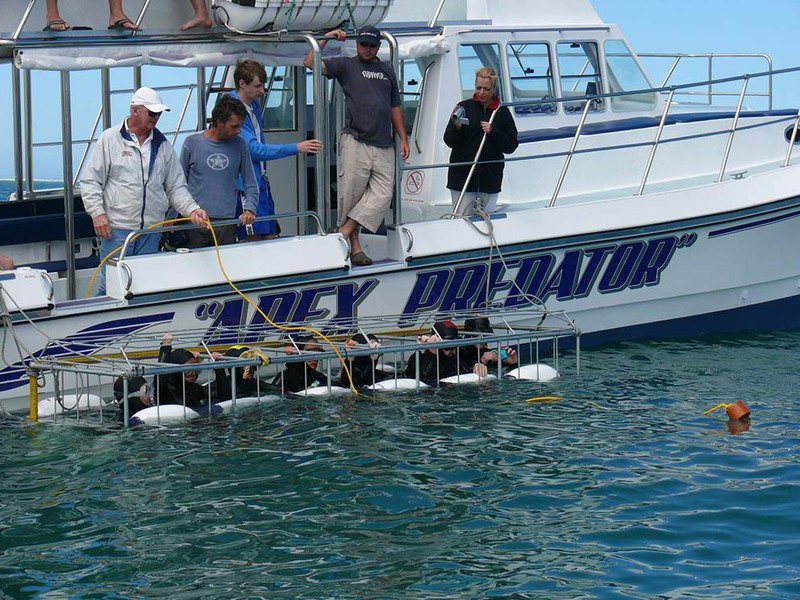 Come aboard the Apex Predator for the ultimate great white shark cage diving and surface viewing adventure tour. 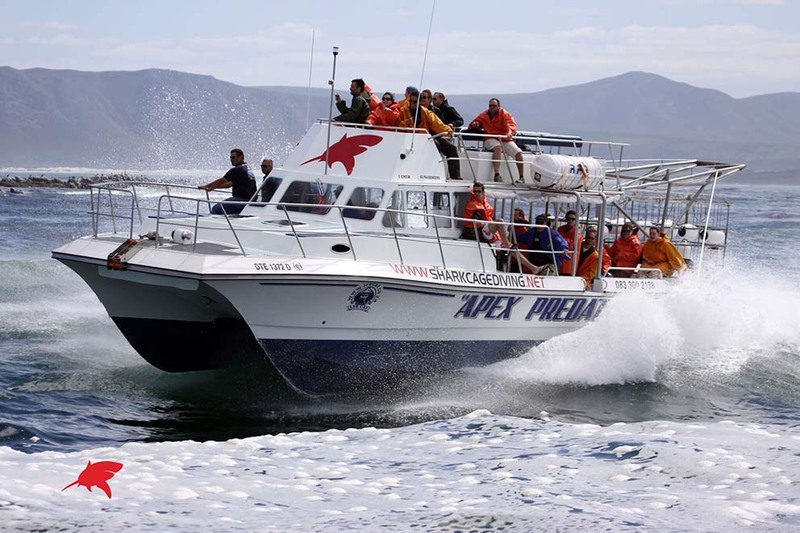 Launching from Gansbaai, the great white shark capital of the world, this tour is one of the best bets for seeing the majestic animals. 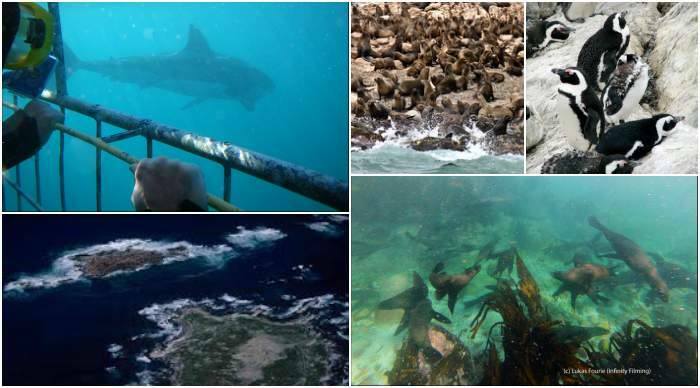 After an exhilarating 20-minute boat ride from the Gansbaai fishing village, you’ll start looking for sharks. The experienced crew will share their vast knowledge while taking you to view great white sharks from the surface or underwater from a cage. The trip is around three to five hours in total, depending on shark activity. During the summer months, the sharks keep close to shore and during winter they move to Shark Alley, a nearby channel created by two islands: Dyer Island with its endangered African penguins, and Geyser Rock with a colony of 60,000 Cape Fur Seals. Not only will you visit the largest predatory fish in the world, but you can also see other incredible marine animals! There will also be breakfast available before the journey commences and food and drinks available on the boat. For an optional extra payment of R400, transport can be organised to and from Shark Cage Diving, please contact Shark Cage Diving directly to organise this transportation. At the end of the trip, you will have the opportunity to purchase a DVD of your encounter for R300. Booking Required. Tours dependent on weather. Under 8-years-old children are not allowed. Trip departure may vary due to the tides and sea conditions. You will be notified after 17:00 the day before your dive about the meeting time for pick-up. Gansbaai arrival time is one hour before the boat launch. All diving gear is provided.